Southern Maryland Market Bedroom Stats for Dunkirk MD vs Huntingtown MD in Calvert County...HUH? My new upgraded razzle dazzle Realtor Southern Maryland Subscription Stats Program by www.rbintel.com lets me add a few extra dimensions when I analyze Southern Maryland Real Estate Market Data. This DC area MLS Stats Vendor is going to add even more cool twists and turns later this year but for now, let's look at Huntingtown versus Dunkirk when bedroom count is a very important parameter. Okay, first comes the summary, then the charts, then my two cents. It might be three cents so let's see if there are any mysteries to this fresh off the press Southern Maryland Market Data. 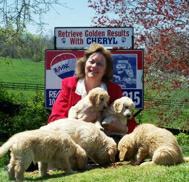 Okay, Sherlock Cheryl let's take a Stroll through the current Southern Maryland Stats Landscape. Note the colors match the key color below the chart in perfect sequence! It is ALL homes in BLUE then 3, 4, 5 and 6 Bedroom Data. The Huntingtown zip is 20639 which is first and 20754 is the Dunkirk zip which is displayed second. Summary? Summer Sales perk up in both zip codes. You would aniticipate this for Family Summer Moves. There appears to be a proportionately higher demand for 4BR Homes in the Huntingtown Zip during the Summer months than in the Dunkirk Zip. Both zips show sparked interest in 6 BR homes in August right when school starts. My Two Cents? If you are a Buyer interested in these two zip codes, and the trend remains the same next year, you might want to shop and purchase in early Spring to avoid the demand for more bedrooms prevalent during the Summer School Move Months. This is particularly true, too, for the six bedroom last minute sales sprint right before School starts in both zips. Why are the four bedroom Summer stats notably higher in the Huntingtown 20639 first zip code graph? Maybe the new Huntingtown High School accounts for that! Keep coming back as a welcome guest because there are going to be more and more cool Southern Maryland Market Stats and Facts! Plus these charts are interactive so the graphs and charts remain up to date as the NEW monthly data is released around the tenth of each month. What do we do in Calvert County Maryland all DAY?